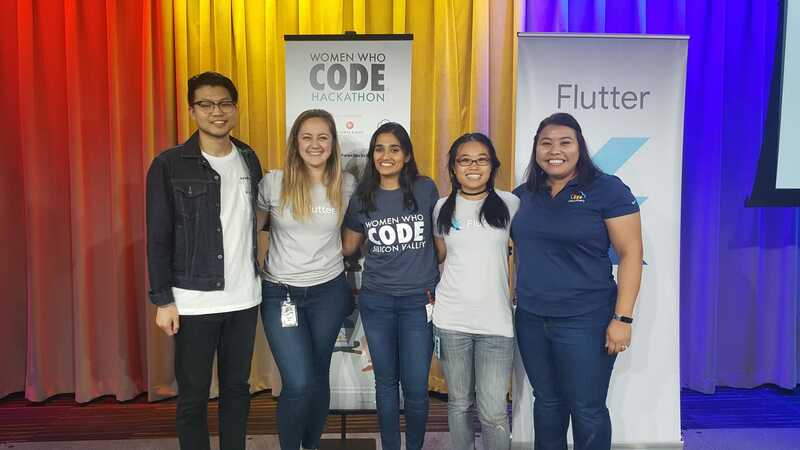 The event was the Women Who Code Silicon Valley Hackathon 2018, which took place on September 29 at Google headquarters. 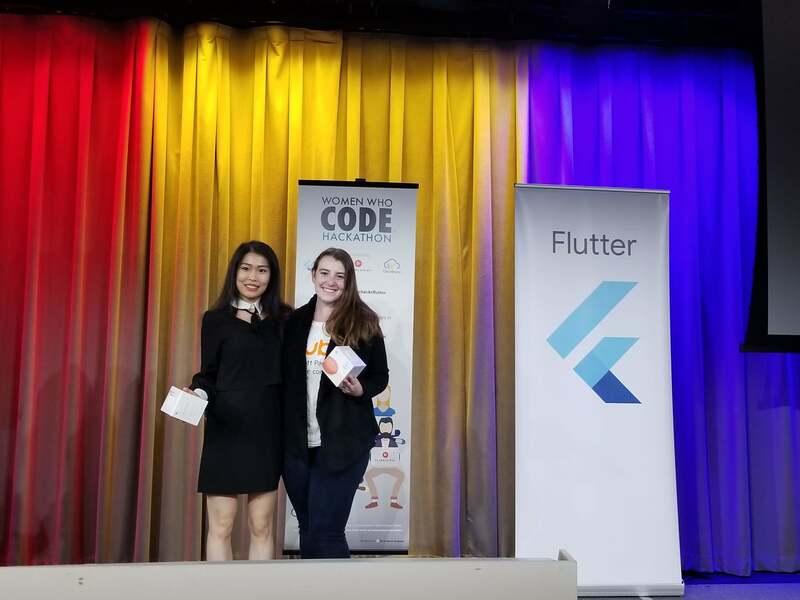 Cloudinary, along with Flutter and Pluralsight, sponsored the hackathon, which required participants to use the Flutter platform as the basis of their projects. When one of my colleagues - who is active in Women Who Code – had a conflict that prevented her from attending, she asked me to step in for her. I was excited because this was the first time I've had the opportunity to do something like this, and was looking forward to watching participants create interesting projects from scratch, then present them to us. The hackathon kicked off around 8 a.m. I got there later in the day for the judge's meeting, where we talked about the criteria we would use to evaluate each of the projects. Not long after that the project presentations started. There were so many interesting ideas - from apps that helped you remember to water your plants and connect volunteers to organizations needing help, to others for dating and finding music that fits the users’ moods based on a photo of their face. I anticipated it would be hard for the judges - who were a mix of project manager and developers - to agree on the top projects. But to my surprise, we all quickly agreed which ones rose to the top - they just stood out, based on their use of Flutter, the design and the technicality. 1st Place - Team Acorn. This team developed an app that enabled users to input a word, then learn how to say it and better understand its context. Throughout the week, then, the app would remind the user of the word, to help support recognition and understanding of the language. The team had never used Flutter before, and they did a great job integrating it into the app. They also had an impressive user interface and were able to integrate it with other APIs. We were impressed, too, with their vision for the future, which entails adding AI, so the app could suggest additional words that the user may also want to learn. 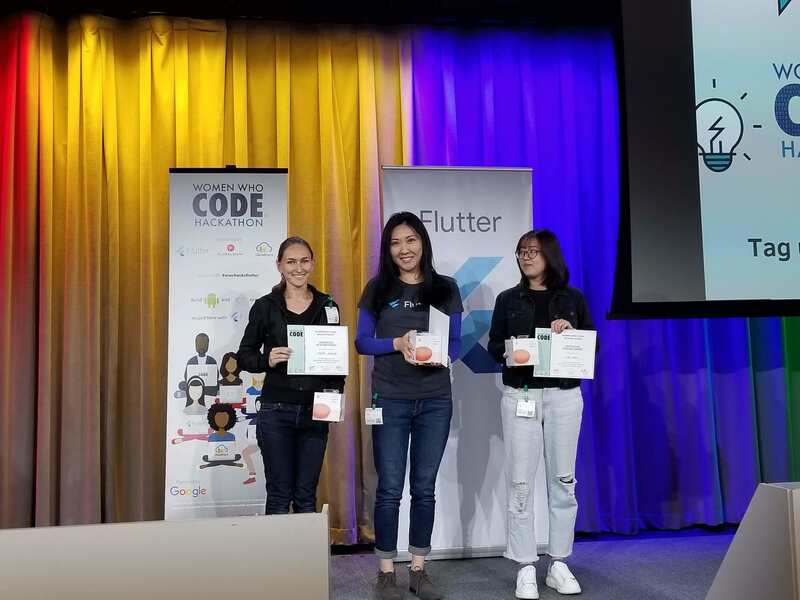 Using Cloudinary’s Amazon Rekognition and Flutter, this team created an app that enabled users to take a picture of an object, then do a search for that image as a meme and get funny quotes. 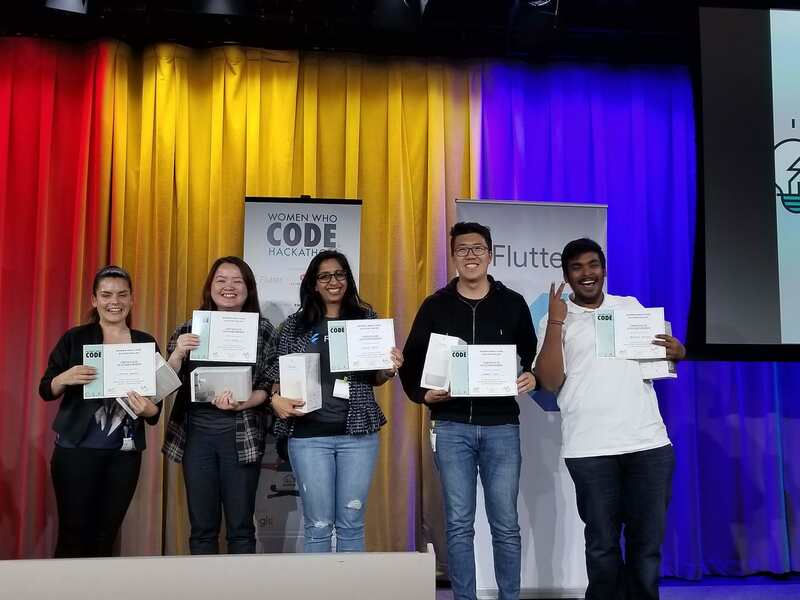 Of all participants, this team probably integrated the most technologies, leveraging the camera piece of Flutter, Cloudinary for managing images and a database for looking up memes. The SayCheese app was a really cool concept, which enabled you to play an audio clip (one that you downloaded or recorded) that makes the subject of your picture look toward your phone before you snap the shot. In their example, they used a dog barking, so a dog would be enticed to look at the camera. The app integrated the camera with an audio library. Honorable Mention - Team Happy Hour. This team developed an app called Beer Me, which let users choose from a list of their favorite beers, then be notified when that beer came on tap at a bar near them. While I still question whether this is doable - since you'd need to get involvement from a lot of bars - the concept was great. They integrated Flutter for notifications with Google maps to help users find the location of their favorite beer. 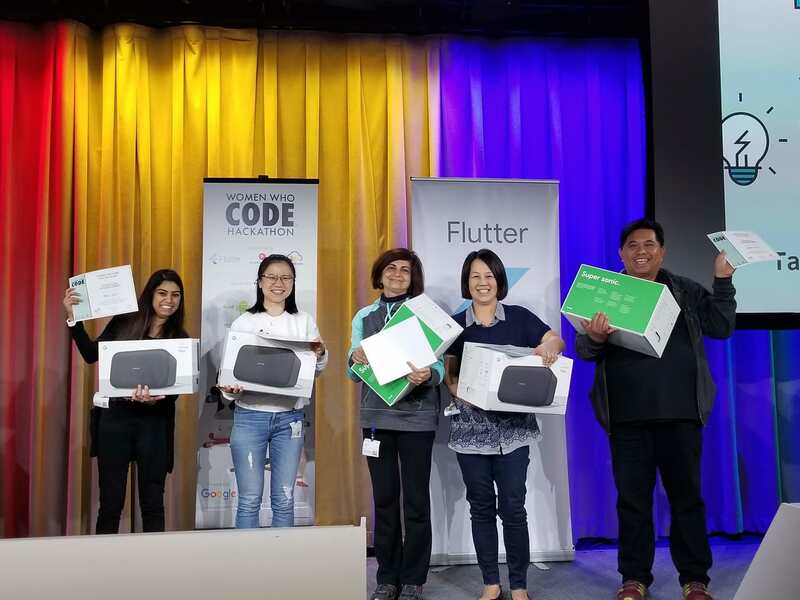 The four top teams were awarded some cool swag – Google Home Max, Google Home, and Google Home Mini devices. Being a judge, and watching the process from a different perspective was fun and inspiring. It was an honor to see the great ideas and meet the teams who developed them. More importantly, it motivated me to participate in more hackathons to learn about new technologies while exploring my creativity.